Dallas Times Herald Newspaper - IFA Vintage and Current Book Library - Index Fund Advisors, Inc. The original Dallas Times Herald newspaper. 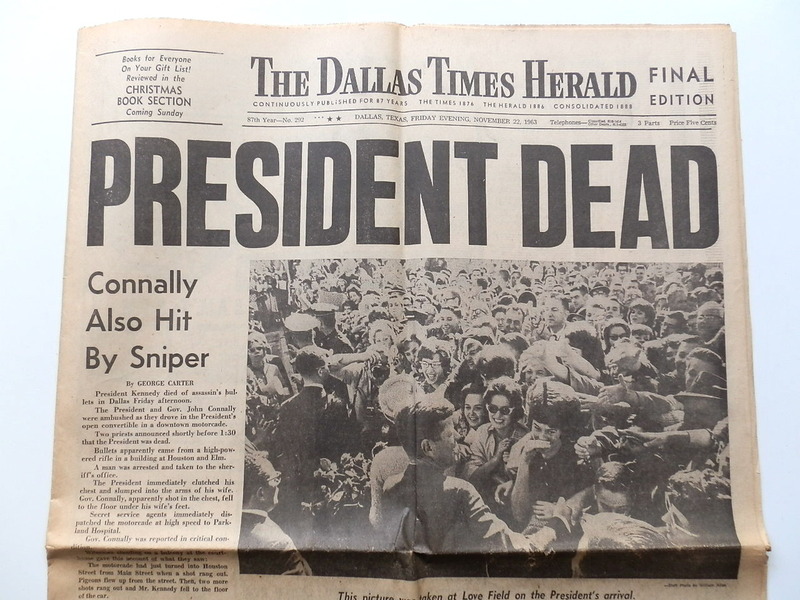 (Section A 22 pages) Dallas Texas Friday Evening November 22 1963. 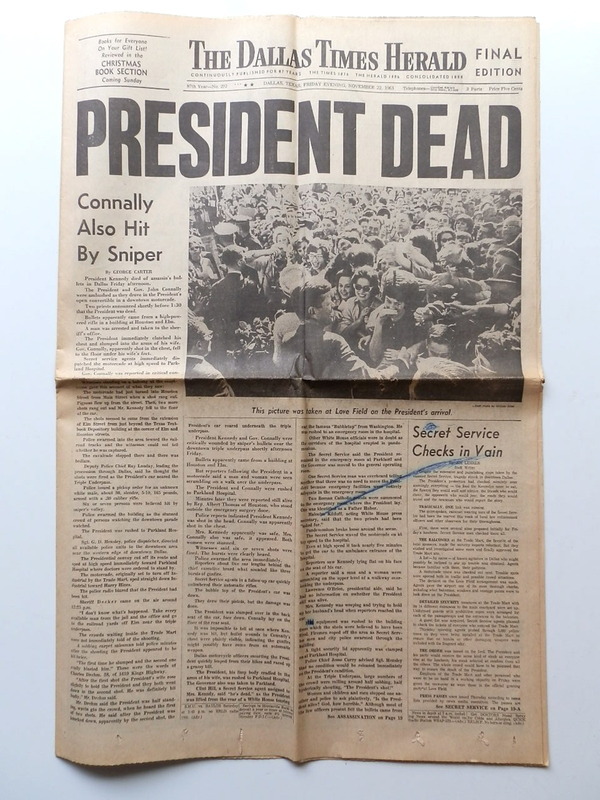 "President Dead". 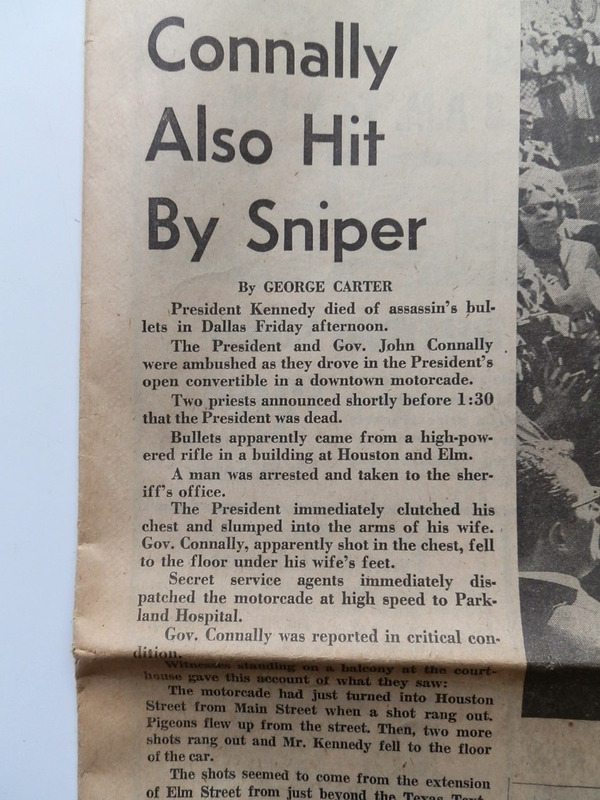 The newspaper contains various articles about JFK and the assassination. As it is an original old newspaper there is wear, yellowing, and there is a pen mark on the bottom part of the front page as shown. 23" x 15" page size, standard for Newspapers.